See?! It's a conspiracy! Another pretty blue! At least this one also has green glitter. 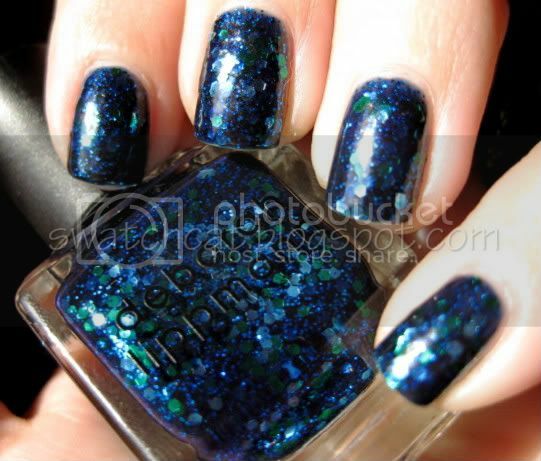 Plus it's a navy jelly base, so it makes my inner-goth very happy. You want pretty pictures? Sure you do. 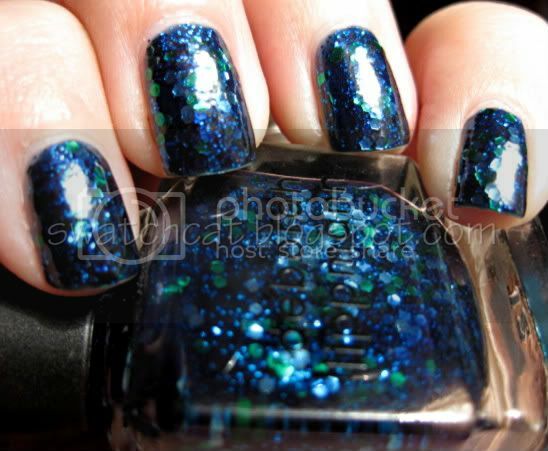 Across The Universe, as I said, has a navy jelly base with green, light and dark blue hex glitter, and tiny blue square glitter...kinda like little stars in the night sky. Even in the jelly base, the finish is a bit textured because of the glitter, so you'll need a couple thick coats of topcoat. 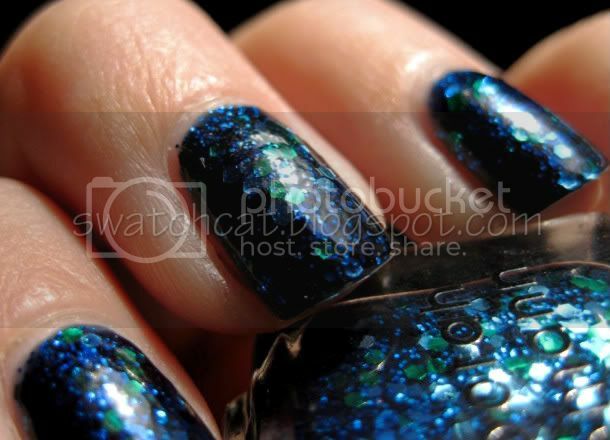 Now, as pretty as this polish is, there are a couple of pitfalls. One being the price. This sucker will set you back $18 smackeroos. Add to that, it took four coats to reach that deep navy color, and I could still see some VNL on a couple nails. To top it off, Across The Universe is a complete pain in the...hind-parts to remove. I tried soaking my nails, and I ended up resorting to scraping the glitter off with an orange stick. Still, it's pretty enough that I'll pull it out at least once a year, but that's my limit. 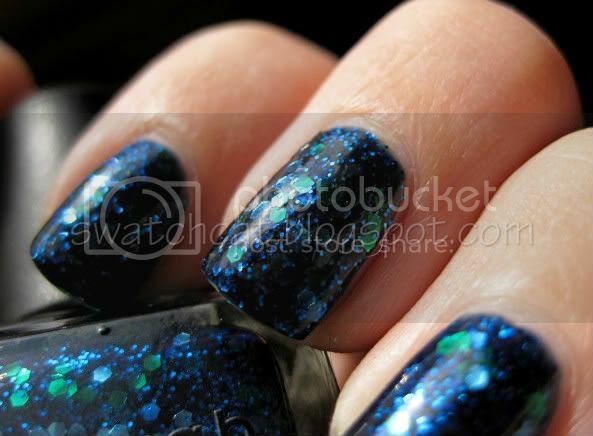 Across The Universe is available on Deborah Lippmann's website or on beauty.com. Have you entered my awesome giveaway? Hurry, it ends at 5:00 p.m. on December 15th!